I hope everyone had a wonderful Christmas! Here at the Collins clan household, we sure did. The highlight was definitely watching Charlotte tear open all her gifts. 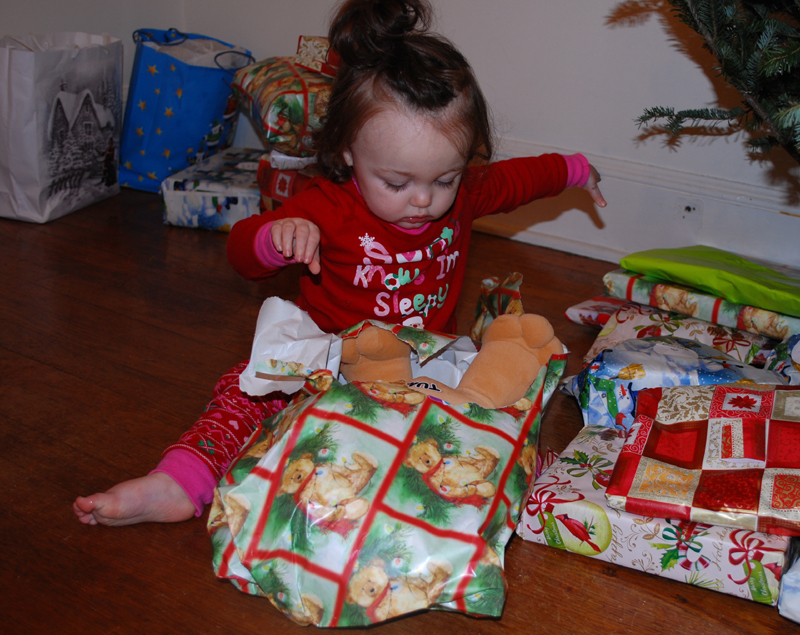 For just being one years old - she seemed to understand that under the wrapping paper - there were toys to be found!